A variety of latest "Cleaning Services" that focuses on your "Cleaning Services" business. 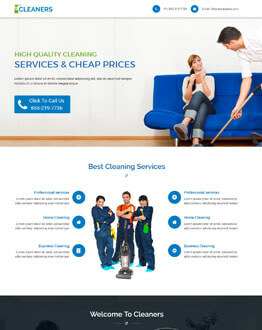 Download the latest and responsive “Cleaning Services” designed by world class designers to generate more traffic and leads. Promote your carpet cleaning, gutter cleaning, pool cleaning, window cleaning, backyard cleaning and other cleaning services with our cleaning service ppv landing page design.